The International Conference on Tourism Technology (ICTT), to be held from June 8-10, 2017, will have an line-up of technology industry experts from across the globe to deliberate on the paramount role of technology in giving a fillip to the travel and tourism industry through interactive engagements with customers and providing excellent products and services. The three-day event, to be held at Le Meridien Hotel, Kochi, is organised by the Association of Tourism Trade Organisation (ATTOI). “Technology is all around us and the world of travel and tourism is no exception. Through technology, such as social media, tourism operators could engage their customers and enable them to share their experiences. 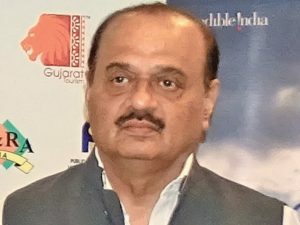 So it is high time to get updated and be adaptable and fluid to the changes in the sector,” said ATTOI President Anish Kumar P.K. The seven experts who will be attending the brainstorming meet this year to share their insights are Andre Chow (Singapore), Billy Taylor (New Zealand), Christopher Tock (Malaysia), Donna Mortiz (Australia), Lauren Cleland (USA), Nicky Kriel (the UK) and Pierre Marechal (Belgium). 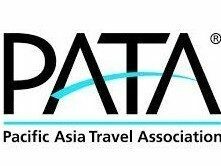 The Pacific Asia Travel Association (PATA), in conjunction with England-based Equator Learning, is launching a travel agent initiative to support organisations with travel trade marketing efforts. The Asia & Pacific Expert is an online learning tool for travel agents that is applicable for all markets worldwide. It supports and promotes the destination as well as any pre-existing learning platform. Chris May, Managing Director – Equator Learning, says, “Knowledge is power. You have heard that many times before and know it to be 100 percent correct. Travel agents are becoming increasingly time poor and picking up un-qualified knowledge. This can damage a destination and its reputation. The Asia & Pacific Expert is a user-friendly solution for all destinations, providing a clear and reliable source of information for travel agents.” This initiative offers PATA members the opportunity to create a 30-minute learning module that will provide agents with essential information about a destination, empowering them with the ability to sell it correctly. Unlike any existing stand-alone learning platform the Asia & Pacific Expert gives agents all the facts they need to gain confidence while providing a new avenue to promote and link to an organisation’s existing site. In addition, this will offer an agent a friendly portal for all Asia Pacific destinations – providing the first one-stop shop for the region. Enterprising Travel Agent’s Association (ETAA) took their second Domestic Convention to Hyderabad which was held from Mar 3-5, 2017, at Leonia Holistic Destination. 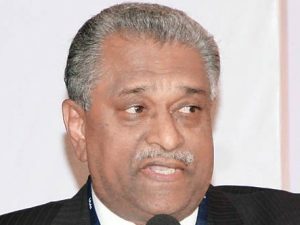 The event gathered over 200 attendees, informed Jagat Mehta, President, ETAA, and added that the edition saw a pan-India participation from different states of the country such as Karnataka, Maharashtra, New Delhi, West Bengal, to name a few. 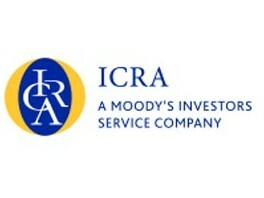 He elaborated, “We were very satisfied with the turnout and the response. While there were a few last minute cancellations, it did nothing to deter the spirit. Our first domestic convention was held back in 2011 with 180 members from Mumbai, Pune and a few from Gujarat so in comparison to that, we’ve managed to bring together a diverse crowd. Yes, business is the main aim but so is forging and strengthening bonds.” The three-day convention involved B2B meetings between buyers and sellers that was effective in connecting travel agents and tour operators from Tier II & III cities to travel suppliers, and also saw a host of team-building activities take place in the sprawling 150-acre property. FICCI and Avalon Global Research (AGR) joint publication of the knowledge paper ‘Travel 2.0 – The Next Generation of travel’ is slated to be unveiled at Digital Travel, Hospitality and Innovation Summit on March 22 -23, 2017, at FICCI, Federation house, New Delhi. 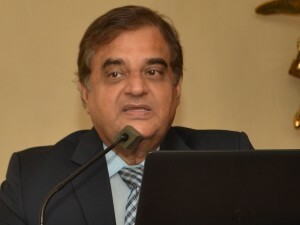 The proposed knowledge paper would focus on the evolution of travel, tourism and hospitality industry through digital adaption and the role of new technologies and automation in streamlining the business processes across value chain, highlighting the speed and convenience of the business in this industry from an end-user perspective. “We are in a digital era and travel and hospitality is not an exception. The rampant penetration of smartphone has transformed travel consumption pattern of the end user. The FICCI -Avalon Knowledge report will highlight all these with pointers to the future of travel in India,” informed Rahul Chakravarty, Director and Head–Tourism, FICCI. The report would also emphasize on adaption of big data analytics and the influence of social media on service providers and aggregators to address the challenges such as intensive competition and requirement of direct interaction with the end users. “Technology and enhanced economic and aspirational activities have impacted how travel is perceived , reviewed , distributed and consumed .Therefore a mature research aspect allows the travel ecosystem to innovate to make itself future proof and ready for Travel 2.0. 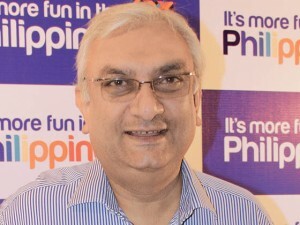 This report sets out in this direction,” added Ashish Kumar, Member, FICCI Travel Technology Committee. PATA India Chapter is conducting roadshow to USA and Canada, in partnership with India Tourism from May 30 to June 8, 2017. 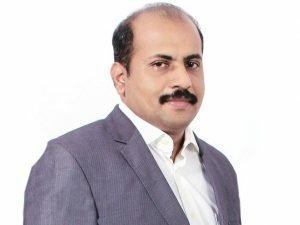 Runeep Sangha, Executive Director, PATA India Chapter, said, “We are pleased to inform you that we have received necessary approvals to conduct Roadshow to USA and Canada, in partnership with India Tourism. More details will be communicated in the coming week.” The roadshow will begin in Toronto (Canada) on May 30, then move to the US with Boston on May 31, Chicago on June 1, Houston on June 6, New York on June 7 and 8. Participants must confirm their participation by March 3. Enterprising Travel Agents Association (ETAA) organised its first travel agent meet in Hyderabad on February 10, 2017, at Hotel Royalton. 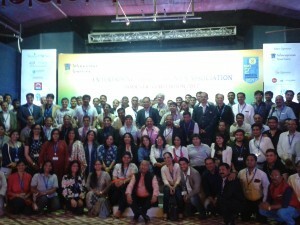 The event received an overwhelming response from its members and others from the travel trade. The event was attended by Carl Dantas, Chairman Emeritus, ETAA; Jagat Mehta, President, ETAA; Abhijit Khadilkar, National General Secretary, ETAA; Dipti Thakoor, National Jt. Secretary; Dharmesh Advani, Treasurer, ETAA, and M P Joy, South India Chapter Chairman. 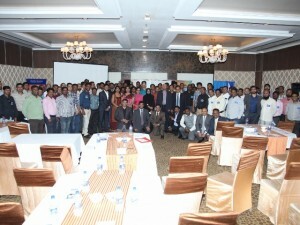 More than 70 travel agents from various associations attended the event from Hyderabad and other surrounding cities. There was a brief knowledge session by TrawellTag Cover-More conducted by renowned trainer Aman Koushik. The ETAA National Board and Regional Chapters are all gearing up to welcome members to its upcoming ETAA Convention at Leonia Resorts, Hyderabad from March 3-5, 2017.